Thank you for your interest in our training and volunteer opportunities! W.O.M.A.N., Inc. believes that to in order to build stronger and safer communities, the diversity of the community we support must be reflected within our team. A strong, vibrant organization consists of community members with unique attributes from various ethnicities, ages, races, gender identities, sexual orientations, socioeconomic backgrounds, immigration statuses and abilities. We are pro-immigrant, pro-love, pro-Muslim, pro-people of color, pro-queer, pro-reproductive justice, pro- survivor, and pro-transgender. As an integral part of the community, W.O.M.A.N., Inc. encourages you to contribute your individual experience, working together to support survivors of domestic violence. This application provides us with important information about your interests, skills, and readiness for anti-violence training and volunteer work. Please fill it out thoughtfully and completely. Any incomplete applications will be deleted after five days. W.O.M.A.N., Inc. reserves the right to decline any applicant based on appropriateness of match to the needs of the agency. Bi-lingual/bi-cultural Spanish speakers are strong encouraged to apply! 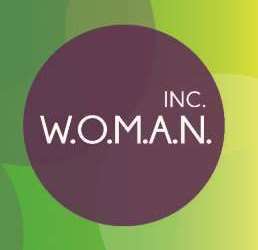 Upon completion of your application, please email Alicia at alicia@womaninc.org to confirm we have received your application. * 2. What is your address? * 5. Sharing the following information about yourself helps us better understand the communities we reach. * 7. How would you describe your race or ethnicity?